As lawyers, we have both attended the occasional international conference, and over the years, we have certainly learnt a thing or two about what to pack to one of these events. It may seem obvious, but packing enough business cards can mean the difference between making a lucrative business connection or looking unprepared and unprofessional in front of a potential client. While handing out your company-provided business card is the traditional way to go, the current trend sees people also providing personal cards with their personal email address (in case you change your current job), LinkedIn page URL, or even their blog or personal portfolio website. If you are looking for stylishly designed, customised business cards, look no further than the lovely Clare Cook of Without An i, who designs business cards with customised typography by hand. Price will depend on the complexity of the design. While you might have the coolest business cards on the block, they will be useless if you can't find them amongst the clutter in your bag or pockets. Pick up a well designed business card holder that allows you to subtly retrieve your cards without fumbling around with a clasp. We're loving this George Jensen stainless steel cardholder designed by Hiromichi Konno that is deliberately curved to allow you to open its magnetic lock and bring out your card with fluid ease. It can be purchased online here and costs approximately US$60. 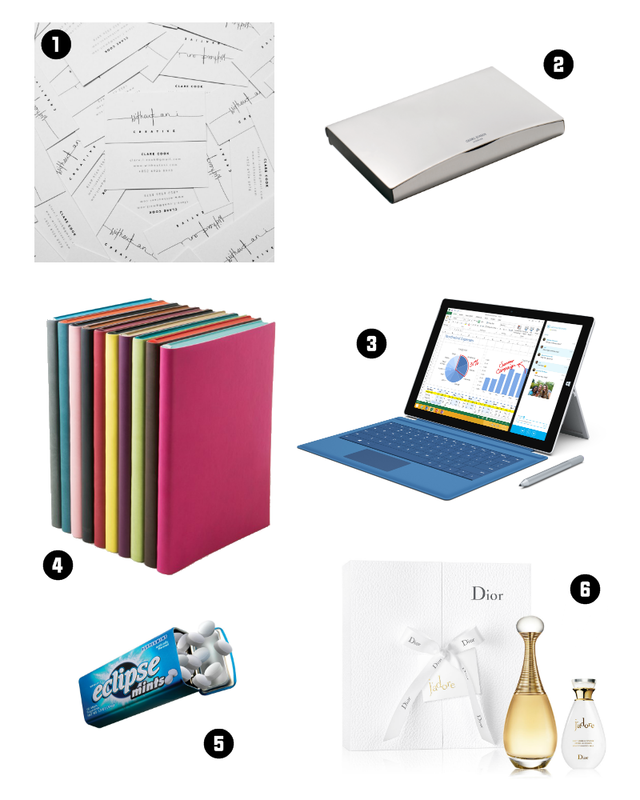 If you are attending a conference where laptops or tablets are acceptable, consider opting for the most lightweight options for taking notes and checking your emails (or subtly catching up on some online shopping if the speaker is snooze-worthy). The Microsoft Surface Pro 3 is an incredible device that can act as a touchscreen tablet (with the keyboard detaching completely) or a lightweight laptop. It also comes with a nifty stylus pen that barely lags and allows you to draw graphs, take notes by hand, or doodle pictures of all those online purchases you wish you could afford. The most basic 64 GB version costs US$799 and the most expensive 512 GB version costs US$1,949. Sold at most computer stores and online here. Not able to bring a laptop into the conference room? No problem. Go old school with style when you whip out an elegant and affordable Signature Notebook designed by Daycraft. With a soft cover that resembles leather (but is actually Italian PU "leather" - not real leather), these notebooks are perfect for showing off your fun, creative side with their bright colours - or the serious professional in you with the black and brown tones. Only HK$91 (US$12) for an A6 size or HK$125 (US$16) for an A4 size when you purchase online here, or you can pick one up at various book stores in Hong Kong (and around the world). There is no better way to make people avoid you at a conference (or any place really) than by having bad smelling breath. Make sure you keep a pack of breath mints (not chewing gum!) on hand for those days where you have either been stressed out because you're a keynote speaker, or you've been sleeping because the keynote speaker is a tax lawyer (no offence tax lawyers). Eclipse mints come in a range of flavours and can be bought at any convenience store or 7-Eleven. Actually, we take it back. There is a better way of making people avoid you - and that's by having bad body odour. To make sure this doesn't happen, don't forget to bring along a bottle of travel perfume or cologne in your bag. Remember that less is more though! We adore (pun intended) the classic J'Adore Fragrance by Dior - it has a rich, heady floral scent and the sensual curve of the bottle sits nicely in your hand. 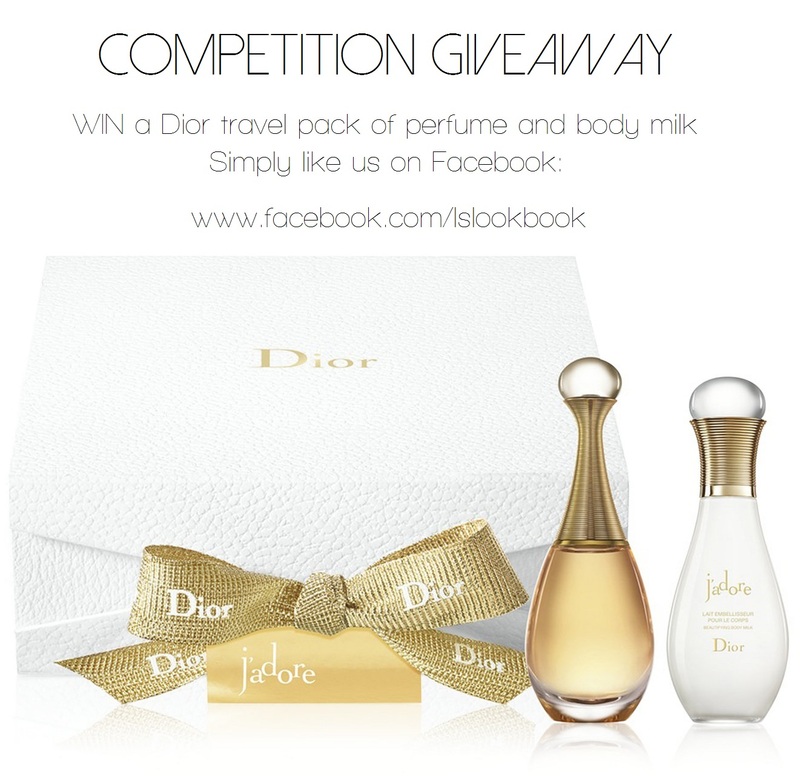 And here is the exciting news - we are giving away an adorable travel pack of Dior J'Adore Fragrance (5 ml) and J'Adore Beautifying Body Milk (20 ml) to one of you guys! All you need to do is like our Facebook page - it's as simple as that! We'll pick one lucky winner on 15 December 2014 and notify them via Facebook.